Country Properties Welwyn has been trading from its office in the heart of the village on the High Street since 1984 and is now owned by Tony Cox who also owns and runs the nearby Knebworth office. 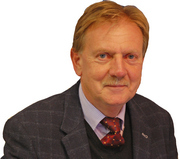 Tony has over 40 years’ experience in the Estate Agency business and started his career as a junior for an Estate Agency based in Hertford where he worked hard and gained promotion to Manager of the office in Old Welwyn and then also became Manager of the Knebworth office which was taken over by Country Properties in 1984. In 1985 Tony acquired the franchise of the Country Properties office in Knebworth and stayed at that office for many years until 2006 when he moved offices to the current larger and more prominent site which he continues to run to this day. In 2007 Tony also took on the franchise of the Country Properties office in Welwyn village. 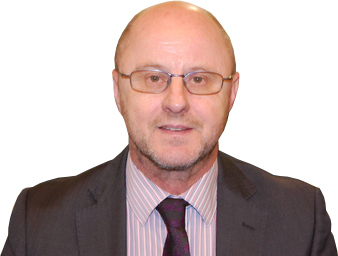 Tony now spends his time in both offices and is supported by his small team who have knowledge of the properties for sale in each office so each team member can work in either office as required and this ensures our clients’ properties are promoted from each office. He is supported by a sales negotiator who is the main face of the Welwyn office and who has built up a good relationship with our many vendors and buyers. Having a smaller team means our clients deal with the same person on a regular basis and build a rapport giving them continuity rather than speaking to a different person each time which may happen in larger agencies. Country Properties Welwyn specialise in handling the marketing of properties right across the price spectrum, from apartments right up to £1.5million+ properties with plenty of land and offering a more luxurious lifestyle. The areas Country Properties market property in are popular with families and commuters as the villages are not too far from main line stations but offer them the semi-rural/countryside lifestyle with lots of open countryside close to their doorstep. Tony and his team are proud to offer all clients a service which is friendly and approachable but professional and trustworthy. I was entrusted by my son to oversee the sale of his property in February 2018. I'd like to take this opportunity to thank you all for the splendid service received from the staff of Country Properties. Throughout the time my son's flat was on the market you all showed a great deal of professionalism, respect and a willingness to please. also you always kept me informed as to any developments in a prompt, precise way, which helped keep stress levels to a minimum! I certainly wouldn't hesitate in recommending Country Properties to anyone who's thinking of selling property. May I wish you all a good, happy, prosperous future! Tony's Estate Agency experience goes back 40 years and after successfully running the Knebworth office he also took over the running of the Welwyn office in 2007. Totally dedicated to providing a first class service to all his clients, Tony and his team have been successfully selling properties in Welwyn, Codicote, Digswell, Tewin and more. 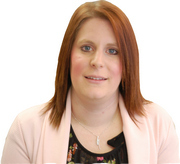 Becka joined our team having previously worked in property management for over 6 years. Her experience in this sector, along with her good knowledge of the surrounding areas and her friendly, positive approach, make her a great addition to our team. Georgia works for us mainly at a weekend but will help out covering holidays too. She is helpful whenever people come into our office and provides a friendly voice on the phone when people ring to book viewings etc. Gus joined us to help with our viewings and to do general office duties. He books in many of our viewings and valuations and is always keen to help whether it be on the phone or with someone coming into the office. The centre of Welwyn village is one of only eight conservation areas in the borough and many of the properties in the village centre date back hundreds of years. The church of St Mary’s lies in the centre of the village as does a war memorial in memory of the forty people who lost their lives during the First World War. On the outskirts of the village are the remains of a Roman bath house which was discovered and excavated during the 1960’s and can be seen by visitors to this day. Welwyn village mixes the old with the new and now has an array of small independent shops, restaurants, tea room, bakery, hairdressers’, doctors’ surgery, vets, five public houses and a modern convenience store. The local Civic Centre is available to anyone who wishes to hold an event or class from there. Every year the village holds a Welwyn Festival which runs for a fortnight and has many local events including a 10k run and Oscars for best restaurant, shop etc. They also hold a market at the end of the festival where they close off one of the streets and have many stalls for people to visit. The village has good road links with the A1(M) being close by and nearby roads which can take you to the nearby towns of Welwyn Garden City (with its John Lewis department store) and Stevenage with all its facilities. The local St Mary’s primary school has an outstanding Ofsted report and is very popular with the local children. Welwyn village and the surrounding villages of Codicote, Digswell, Tewin, the Ayots, Rabley Heath etc are all semi-rural/rural with open countryside right on the doorstep but have good road links and bus services to the larger towns. You’re never too far away from a train station should you wish to journey further afield or travel into London for work or pleasure.